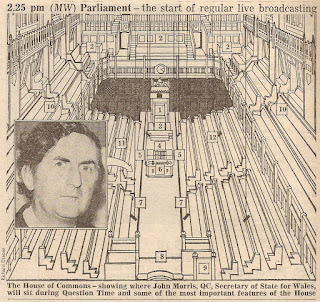 Forty years ago today the permanent radio broadcasting of proceedings in the House of Commons began. 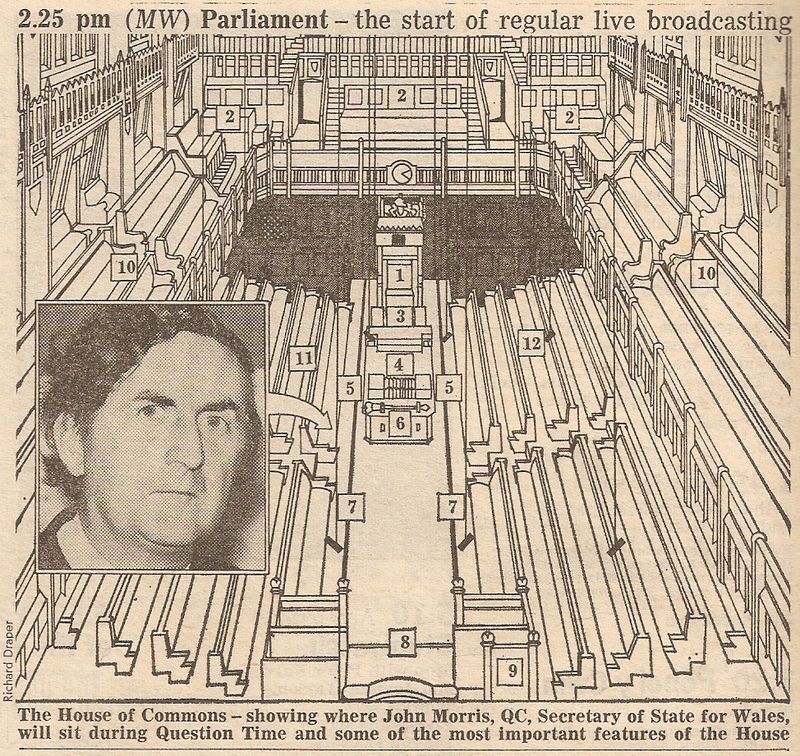 There had been a month long experiment in 1975 and a vote in favour of switching on the mics in 1976 but it still took another two years before the first broadcast of the Question Time session on the afternoon of Monday 3 April 1978. Not PMQs mind (that was on the next day), but the Secretary of State for Wales The Rt Hon John Morris answering questions of the Welsh National language. 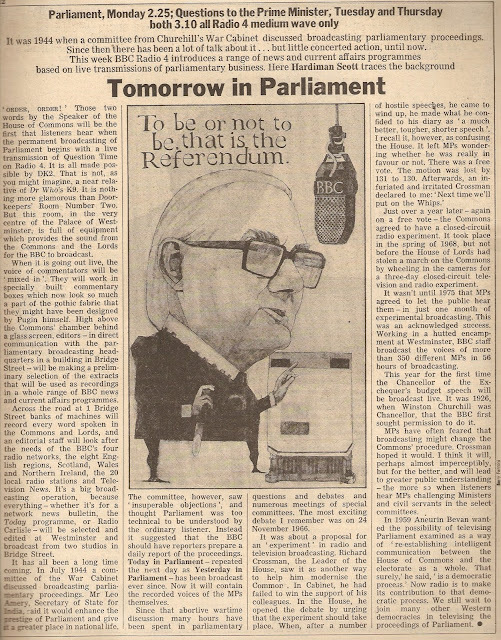 It may well have been a triumph for what we would now call the openness and transparency of the democratic process but Radio 4 listeners weren't pretty aggrieved about it. Coverage was on medium wave, so depriving those that missed Afternoon Theatre which went out on VHF only, which most listeners, it seemed, avoided. Within the first 36 hours the BBC received 343 phone calls and letters of complaint; by the end of May complaints totalled 2,799 as against 31 letters of appreciation. However, the impact was positive elsewhere as recorded highlights could at last be used on Today in Parliament (which saw its listenership increase) and in news bulletins on both the BBC and IRN. Radio 4 controller Ian McIntyre wasn't exactly enamoured in having to split his network for live PMQs every Tuesday and Thursday. "The BBC's business was making programmes, not relaying the source material for them." The live coverage stopped after 15 months.